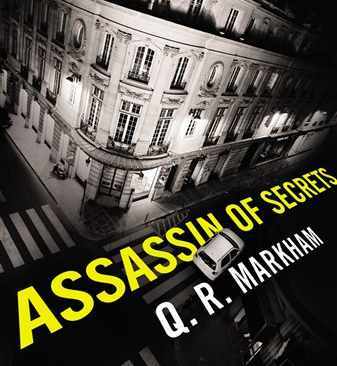 QR Markham’s spy novel, Assassin of Secrets, published by Little Brown in November was withdrawn a week later when the publisher discovered that the author, real name Quentin Rowan, had cut and pasted almost the whole thing from other novels. Book publishers don’t usually fret too much about plagiarism. They think it’s rare, that readers will pick it up, and guilty authors often claim it as a tribute or ironic mash up – maybe sometimes a legitimate defence. But according to this week’s New Yorker, (click here, you have to pay for the full article) Quentin Rowan seems to be the real, i.e. unreal, deal. Like John Darsee, Malcolm Pearce and most scientific fraudsters he appears to have turned bad when he found it difficult to replicate early genuine sucess. In Rowan’s case a teenage poem Prometheus at Coney Island had not only got published but selected for The Best American Poetry of 1996 (click here). When he failed to keep up with that start he sent a bit of plagiarised post modern nonsense to The Paris Review where he had worked as an intern. It got accepted. Even the most famous literary journals are suckers for obscurantism, although presumably most readers skipped it. Anyway, no-one noticed. He soon got a second plagiarised story in the same place. Then the full length novel, cut and pasted from at least a dozen other books, mainly post Fleming Bond novels and bits of Robert Ludlum, with a plot lifted from Charles McCarry’s Second Sight (click here). His pseudonym came from Kingsley Amis who wrote his own Bond novel, Colonel Sun, under the name Robert Markham. An unusual addition to the retraction genre. I wonder if Retraction Watch know about it. ← Who is John Freeman?